Back in April, I attended our local homeschool conference whose main speaker was Andrew Pudewa from the The Institute for Excellence in Writing. I have heard Andrew speak before, in several different online formats which I have previously mentioned. In one of the seminars later in the day, he spoke about four different types or levels of relevancy in which we learn. Briefly they were: 1)Intrinsic Relevancy in which you are interested in something just because, which causes you to pursue it of your own accord, 2)Inspired Relevancy in which someone else's passion for something inspires you to be interested in it as well, 3)Contrived Relevancy in which you are not very interested, but you have to know it, and 4) Enforced Relevancy in which you learn under duress and therefore engender a hatred for learning. It is my recent and unexpected experience with number two, Inspired Relevancy, which I wish to write about in this post. 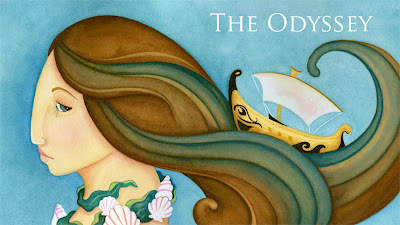 Last week I signed up for a Saturday afternoon webinar with the other Andrew, Andrew Kern of the Circe Institute, on the topic of Homer's Odyssey. Not exactly my passion, but I have learned that when Andrew Kern offers a free webinar, I sign up, regardless the topic, no matter the time slot. Last weekend, Shane and I celebrated our eleventh wedding anniversary by sending our kids to our wonderful sitter while we enjoyed some quiet down time at home. By the time the webinar was ready to start on Saturday afternoon, we had just brought them home and put the girls to bed for a nap. I wondered as I logged into the webinar page and saw the poll asking what your previous reading experience with the Odyssey was, if I was getting in over my head as I selected "I have not read the Odyssey." option and submitted my answer. Oh well, no time like the present to highlight another area of gross ignorance on my part. As the webinar got under way, I could hear and see Andrew reading aloud from some portion of the story. My ignorance grew. But as he welcomed us and began informally discussing different aspects of the story, reading other portions and discussing various Greek words in his typical conversational style, I began to see that perhaps I could see myself actually reading this story and finding some level of interest and understanding. And perhaps it was because it was our anniversary weekend or perhaps it was because I had no idea that these types of ideas were embedded in this ancient Greek epic poem, but I listened with delight to hear the poetry of happy, harmonious marriages praised and honored. And I now feel inspired to read through each Book in the story and follow the journey of Odysseus back to his waiting Penelope and truly understand why this poem is considered epic in Western civilization. I am not so starry-eyed as to think I shall truly understand it from a single reading, but that it will no longer be as intimidating and or as confusing as I interact with the Greek gods and places mentioned elsewhere in literature, such as the New Testament. To know that it can be enjoyed and lines relished is enough, for now. I picked this bright, green hardcover book up at a used book sale back at the end of February totally unfamiliar with the series. We read it aloud together and enjoyed the character of Ella the elephant who eager to help her mother, volunteers to transport a birthday cake in her bike trailer to one of her mother's bakery customers, Captain Kernal. The soft and colorful illustrations show the tall three-tiered cake on the cover, traversing downhill, over a bridge and through the market square with alarming speed and the various events that happen along the way to the lighthouse for Captain Kernal's birthday celebration. Ella and her mother enjoy a sweet relationship that brings a happy ending but not contrived. 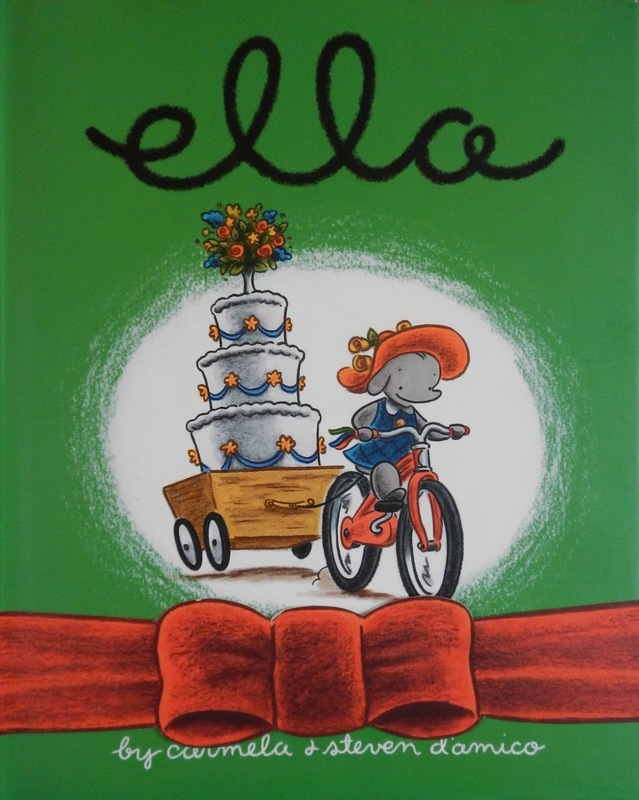 There are at least three other titles in series: Ella the Elegant Elephant, Ella Sets the Stage, and Ella Sets Sail. In the early 19th century, a young Parisian daughter eager to imitate her father's eye for beauty and art in photography, struggles to capture his enthusiasm in her more imaginative drawings of well-dressed animals walking large pet goldfish. He becomes ill and Danielle looks for a way to help provide their daily crossiant and baguette. She is encouraged in her artwork when a wealthy women who paints in her art studio takes an interest in her and her situation. We enjoyed her artwork as flying frogs and birds with top hats are what kids are really interested in. It has a pleasant ending but not too sappy. I mentioned in my previous book list that I started a series of books called The Melendy Quartet because of a post by Mama Squirrel that quoted from the second book which I read out of order. I moved back to read the first book, The Saturdays which details the adventures of each the four Melendy children as they spend a Saturday pursing their own interests and hobbies. The third book, Then There Were Five was an absolute delight, filled with details about various wild plants and flowers, insects and Oliver's wonderful caterpillar collection. The children revel in the outdoors while making new friends and coming alongside an orphaned friend. This is an excellent series and I am currently on the last title, Spiderweb for Two. This series of books is on almost every homeschool list of good books that I have ever seen and having finally finished this first book and now working on the second, Swallowdale, I can heartily concur. If you are not familiar with boat jargon, find some good boat diagrams, because there is a lot sailing terminology that may tempt you to quit the book, but stick with it and you will enjoy a wonderful story of children enjoying being children. Siblings and crew members, four young residents of Holly Howe sail their vessel, Swallow to Wild Cat Island only to meet two other adventurous sailors who also lay claim to the island under their sailing mast, Amazon. Imaginations fueled by Robinson Crusoe, Blackbeard and many others make for some wild adventures and wonderful stories We very much enjoy reading these together and we are looking forward to reading all twelve in the series which is listed here. 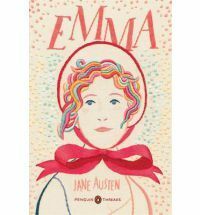 Having enjoyed Pride and Prejudice so very much, it was with reluctancy that I turned my attention to her other novels, starting with Emma. One chapter into the book and I was not impressed with the character of Emma who appears needy and controlling, although she appears devoted to her nervous, aging father. Her attempts at matchmaking left me feeling quite cold about her ability to care for others around her. By the middle of the book when a newcomer dashes into her community of friends and family, I began to see Emma as a young woman showing glimpses of maturity and found it hard to put the book down. 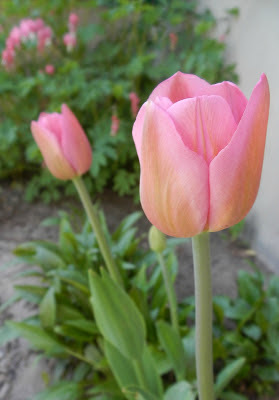 Her own unexpected romance and blossoming into a true lady capable of loving fully and without reserve made her quite heart-warming to me in the end. I loved her and found myself being reminded of my own fumbling years as a young woman, learning with each new life experience what my role should be as Emma did in her life. Another wonderful story for me from Jane Austen. With two Austen novels now under my belt, I moved onto Mansfield Park and the story of Fanny Price, who as a young poor girl leaves her dirty crowded home and is brought to her wealthy and titled relatives to be given a more affluent upbringing in the name of charity. Her daily provisions are fully met by her new surroundings, but she is easily unnerved by her aloof uncle and her two aunts leave her little time to truly enjoy herself. Her only true enjoyment comes from her companionship with one of her older cousins and in her younger brother who is occasionally brought to see her. As her other cousins and nearby friends each appear to attempt to out do one another in foolish and thoughtless behaviors, Fanny remains faithful in her devotion to her small circle of loved ones. An unexpected and unwanted marriage proposal turns her world upside down as her relatives cannot understand her refusal. Her only comfort is the advancing military career of her beloved brother and his well-being. Sent back to her dysfunctional family for a visit, she finds a younger sister who needs her guidance and friendship amidst a continuing drama with her relatives and her unrelenting suitor. Fanny's steadfast character and loving heart is finally rewarded with the love and respect showered upon her as she and her sister return to live at the only place that truly can be called home, Mansfield Park. And having been consumed with these two Austen novels in March, I have now forced myself to read other neglected books before getting into the other Austen books waiting their turn.